A 19 year old male special needs student was found dead on Friday after he had been left inside a school bus parked at the Whittier Union High School District parking lot. The incident was first reported as a patient in “full arrest” about 4:25 p.m. in a school district parking. The Los Angeles County Fire Department arrived on scene shortly after and pronounced his death at 4:33 p.m. Police labeled the incident a “suspicious death.” How in the hell in this day and age does a bus driver not check the bus to make sure there is no one aboard the bus? A 19-year-old special needs student died after he was left inside a school bus parked at a Whittier Union High School District parking lot for hours Friday afternoon, officials said. The incident was first reported as a patient in “full arrest” about 4:25 p.m. in a school district parking lot along Mulberry Drive, between Painter and Greenleaf avenues, according to Whittier police and Los Angeles County Fire Department officials. Police officers first responded to a report of a “man down” on a bus at the district parking lot, Whittier police officials said in a written statement. It was unclear how much time had passed. The teen’s cause of death was unknown, officials added. There were no obvious signs of trauma on the body, White said. Friday’s afternoon temperatures soared well into the 90s. UPDATE I: Heartbroken Mom Speaks Out After Student With Autism Found Dead on School Bus … “They Killed My Son”. The mother of a 19-year-old man with autism who was found dead on a school bus Friday night — possibly after being left there all day — was looking for answers, and said she hasn’t heard from the school or the bus company since his death. 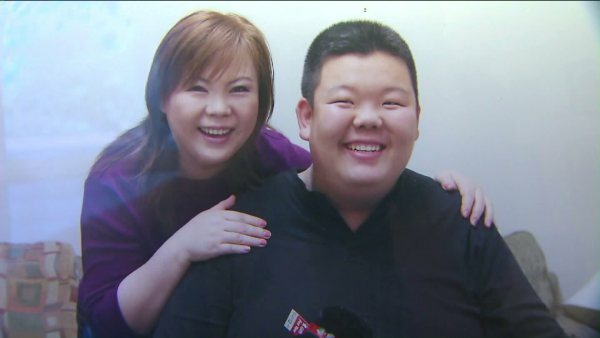 In an interview on Monday, Eun Ha Lee told KTLA she was devastated over the loss of her son, Hun Joon Lee. 16 year old Karla Galarza has been missing since Tuesday, January 13, 2015 in the Bronx, New York. The New York State Police said, the special needs 16 year old girl was last seen about 5 p.m. Tuesday leaving the New York City Workforce Career Center, located at 358 East 149th St. in the Bronx. Karla Galarza has low cognitive function, bi-polar disorder and other psychiatric conditions. According to the police, Karla Galarza got into an argument and stormed out of the therapist’s office in the middle of the session. last seen wearing faded gray jeans, black boots, a pink polar fleece and a pink down vest. Karla has been missing since 5 p.m. Tuesday and was last seen in the area of 358 East 149th St. in the Bronx, State Police said. Karla is described as white, hispanic, 5-foot-8, weighing 140 pounds, with brown eyes and shoulder length hair last seen in a ponytail. She was last seen wearing eye glasses, faded gray jeans, calf-high black boots and a pink polar fleece with a pink down vest. Karla has been diagnosed with significant develop mental disabilities, low cognitive function, bi-polar disorder and other psychiatric conditions, police said. She is in need of multiple prescription medications. She has family and friends in various areas of the Bronx. UPDATE I: Missing 16-year-old girl with special needs spotted in Times Square. A frantic search is on for a 16-year-old girl with special needs who has been missing for nearly two days and was last spotted in Times Square asking for directions to a toy store. Galarza was spotted about 6:30 p.m. Wednesday on a Manhattan-bound No. 2 train. Police believe she exited at the 42nd St-Times Square station and asked someone for directions to Toys R Us. 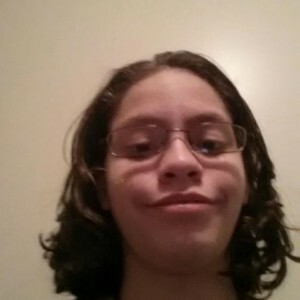 If anyone has seen Karla Galarza ,please contact the New York State Police in Cortlandt at 914-737-7171 or 911. 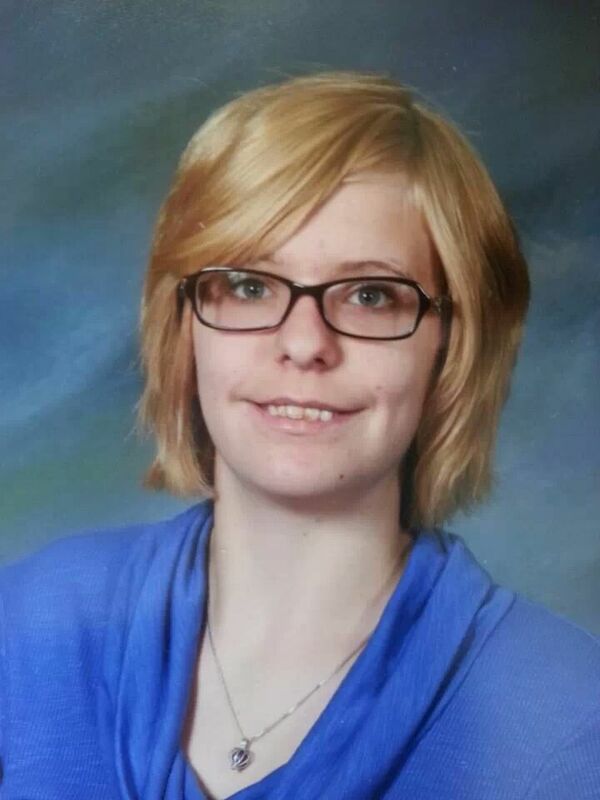 UPDATE II: Missing 16-year-old girl with special needs found safe. A 16-year-old girl with special needs has been found safe, nearly two days after she disappeared from the Bronx, state police said. Karla Galarza was found Thursday evening, though the details of her discovery were not released to the public. 20 year old Victoria Ichrist has been missing since Friday afternoon, November 8, 2013 in Columbus, Ohio. Victoria Ichrist was last seen around 4:30 pm on Friday in the area of Franklin Park. Victoria Ichrist is said to be special needs. Family members describe Ichrist as a white female standing 5 feet 7 inches tall and weighing 120 pounds. She has blonde hair and blue eyes. She was last seen wearing jeans, a purple fleece zip-up jacket and blue Nike shoes. When being President … Character Matters. The recent Mitt Romney political ad, “America Deserves Better” pretty much says it all. After 3+ years under President Barack Obama America does deserve better. Much better. Much, much better. In the ad below, it asks … What does it say about a Presidents character when his campaign tries to use the tragedy of a woman’s death for their political gain? What does it say about a Presidents character when he had his campaign raise money for the ad and stood by as his top aids were caught lying about it? Doesn’t America Deserve Better … Character Matters! There comes a point when a President has to take the responsibility for his actions, agenda and policies. As they say, “the buck stops here”. However, when it comes to Barack Obama, the buck stops with everyone else, especially George W. Bush. To the point where 3+ years into the Obama administration, Jeb Bush, the former Governor of Florida, tells Obama to stop blaming his brother. Of course it has to do with Obama’s failed policies and lack of focus on jobs. On another side of the issue, I am curious, why does everyone think that Barack Obama is such a good guy? Seriously, where does this come from? Do we actually consider him a good guy because he is the father of two and has not cheated on his wife? Is that how low we have set the bar? If this is the case, then Mitt Romney is a “great guy”, he has been married to one woman, Ann Romney, and has raised 5 boys and helped take care of his wife through her illnesses. Serioulsy America … nice guy? Have you been paying attention to the vicious. negative campaign that Obama has been running? Likable, hardly. Back to character … Does this really surprise anyone about the negative ads that Obama has backed and his win at any cost? For all those who buy into the liberal MSM’s narrative that Barack Obama is so likable and people would want to have a beer with him. Really? From Obama’s failed first term in office, the only way you can have a beer with Barack is when he falsely jumps to a conclusion that you were acting stupidly and in a racist manner. Or have we forgotten when Obama made the claims that the Cambridge. MA police acted stupidly? Before Obama knew the facts, The One automatically jumped to the conclusion that Sgt. James Crowley “acted stupidly” for arresting black Harvard scholar Henry Lewis Gates Jr.
Talk about character, or the lack thereof. Remember when President Barack Obama thought it was perfectly ok to go on the Tonight Show with Jay Leno and make a derogatory joke about the ‘Special Olympics”? Because Barack Obama can’t bowl, he made the comment that he bowled like “Special Olympics”. That is what passes as humor for Barack Obama. 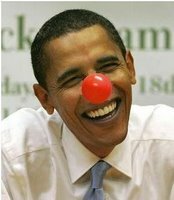 What character, making a pejorative comments regarding those with special needs who have more talent, honor and class in their pinky than Obama. The Jokester in Chief puts others down because of his inept failure to knock down any pins. Heck, Obama can’t throw a baseball either. I will say this … if Barack Obama is willing to make such a comment as a way to get laughs and denigrate those participants in the Special Olympics in from of millions of views, imagine what he does when no one is watching? Then again, its not like Obama’s former White House Chief of Staff didn’t use the “R” word … Character Matters!